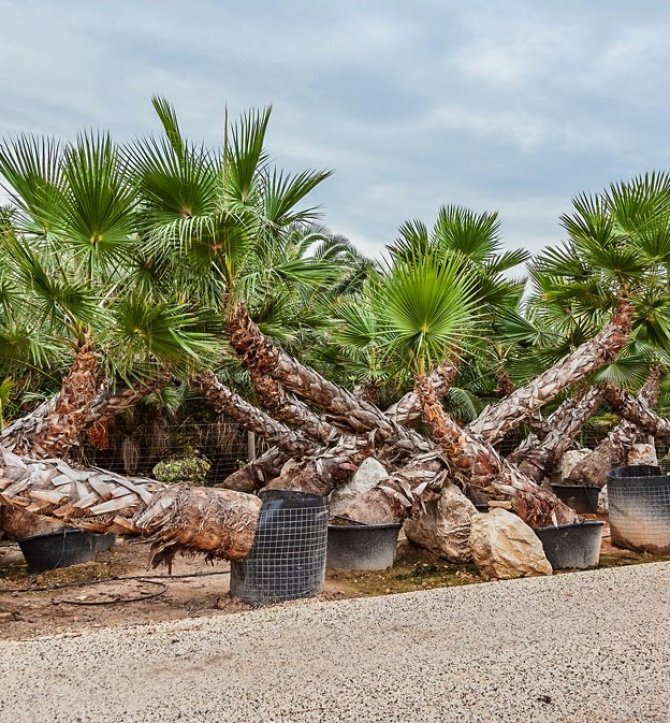 PalmFarm is located in south eastern Spain, near the historic town of Elche, which is renowned as the palm tree capital of Europe. 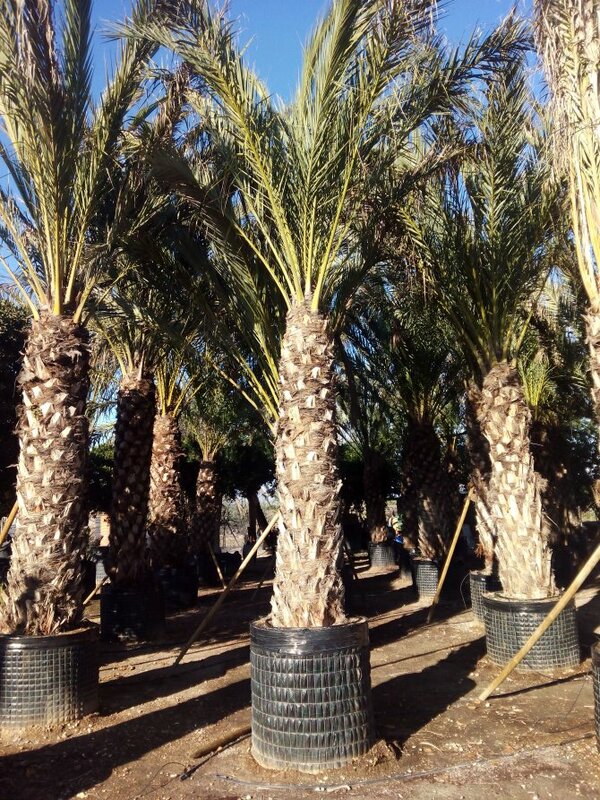 Our palm trees enjoy ideal growing conditions, enabling us to supply you with top quality, specimen palms. 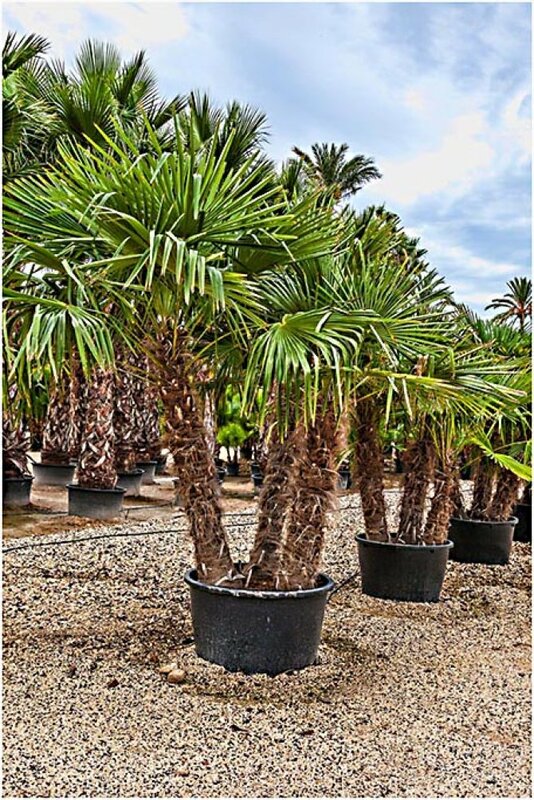 All our palm trees are container grown, so that you, our customer, can enjoy any number of palm trees ready to plant and flourish, thus realising your concept in the shortest possible time. 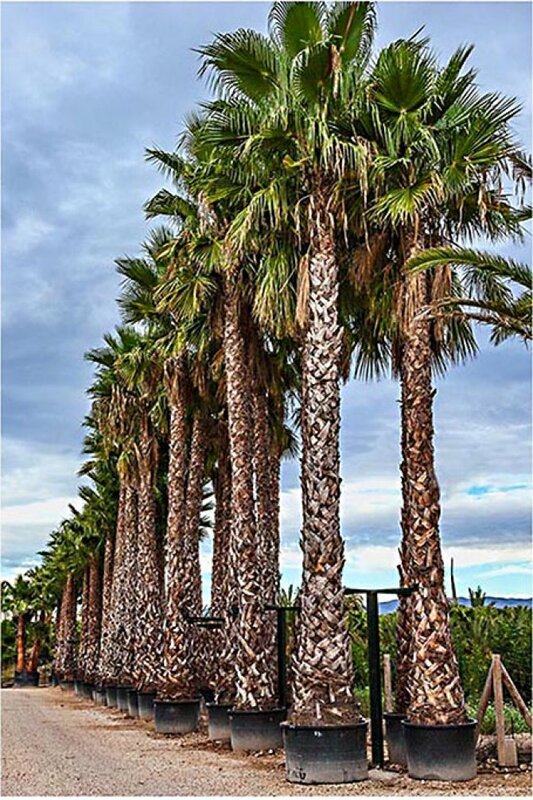 Create a magical Mediterranean landscape, with our top quality palm trees, olive trees, yuccas and citrus trees. 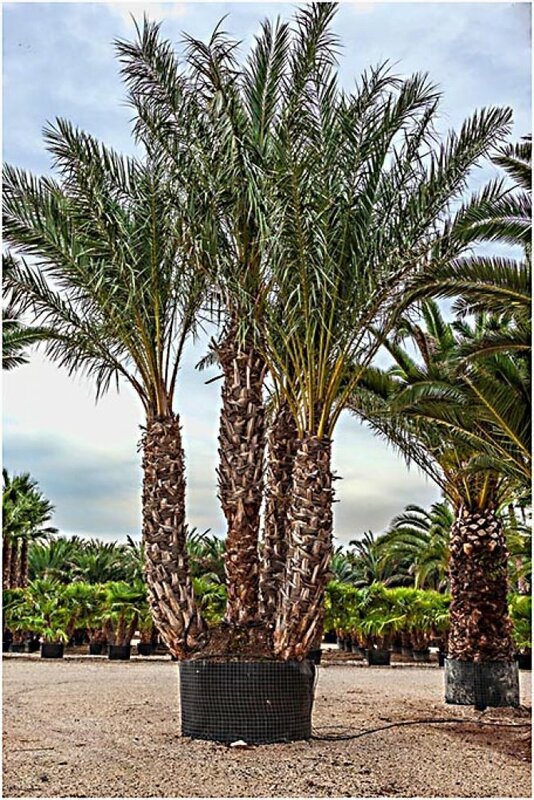 The Alexandra King Palm tree is an attractive, fast and tall growing palm tree. 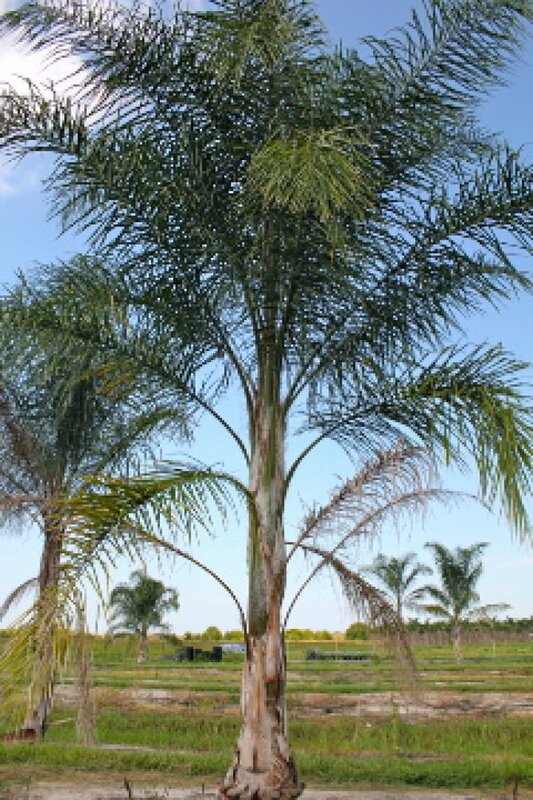 Bismarkia Nobilis palm trees with large, attractive, silver/blue leaves. Magnificent. 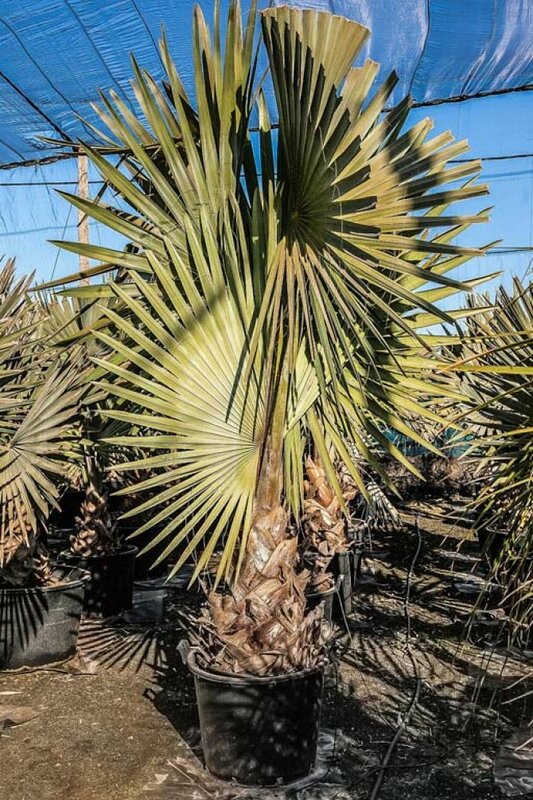 BRAHEA ARMATA palms have stout trunks. Their leaves are stiff and splayed, in a starburst pattern. 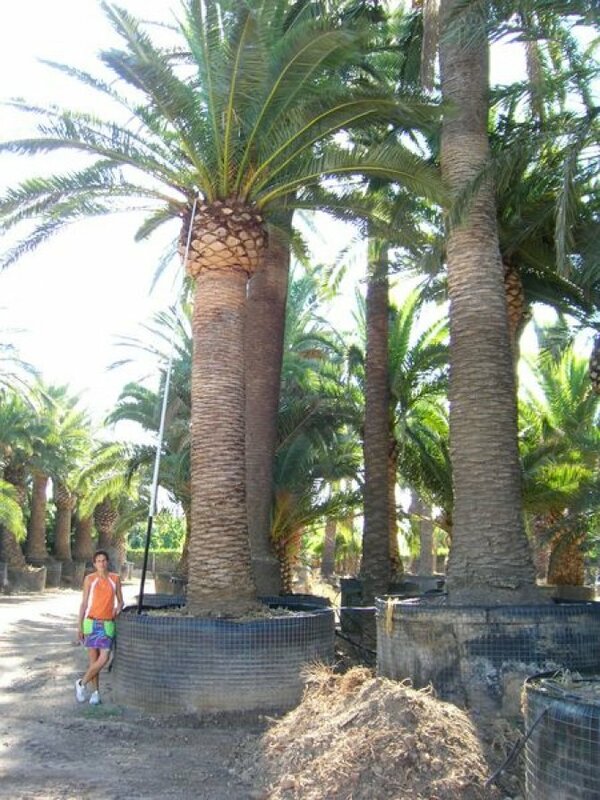 Butia Odorata Palm Trees were previously known as Butia Capitata, but have been reclassified as Butia Odorata. 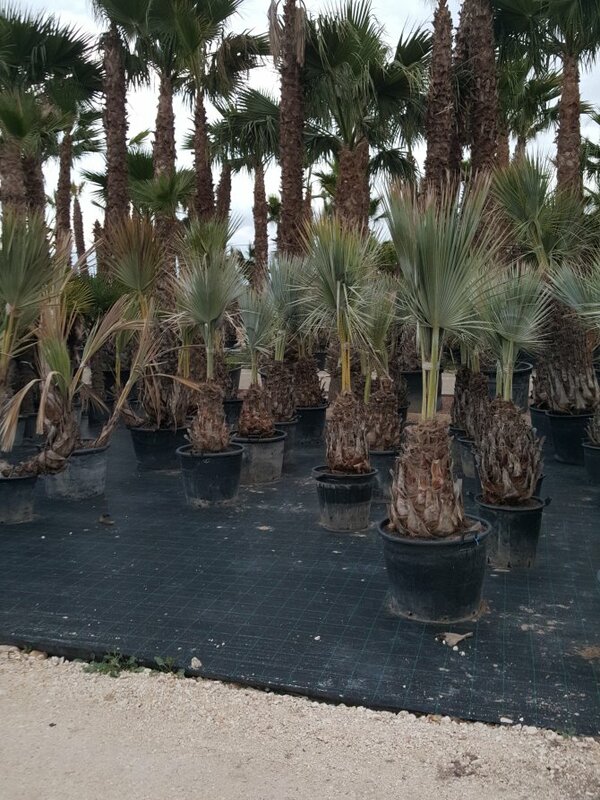 Chamaerops Humilis is a clustering palm, generally not exceeding 3 - 4 metres in height. 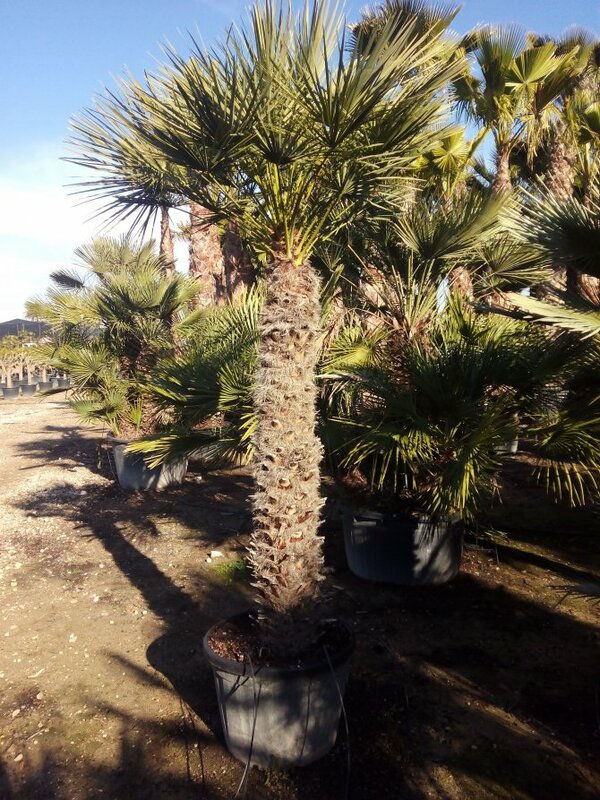 This palm tree has a smooth grey trunk with a wide base. 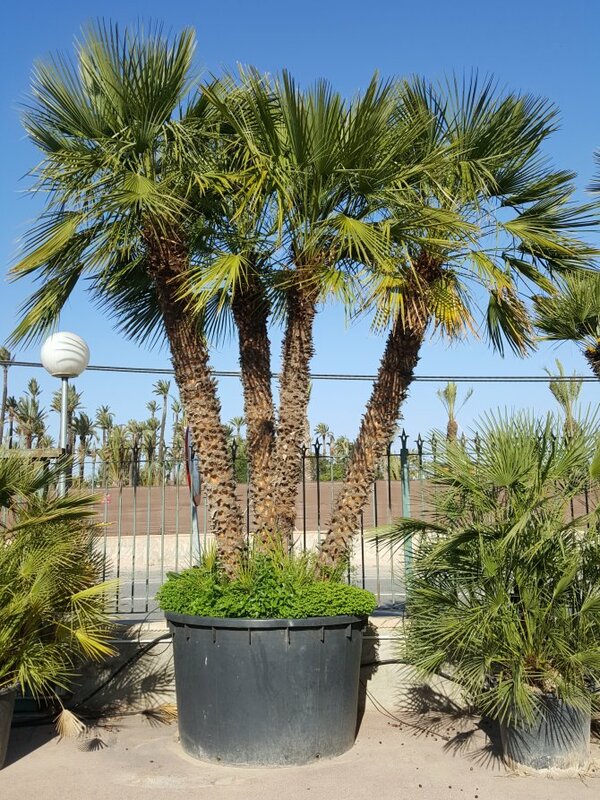 A spectacular palm tree that grows well in sheltered areas. This palm tree has fine, delicate leaves. 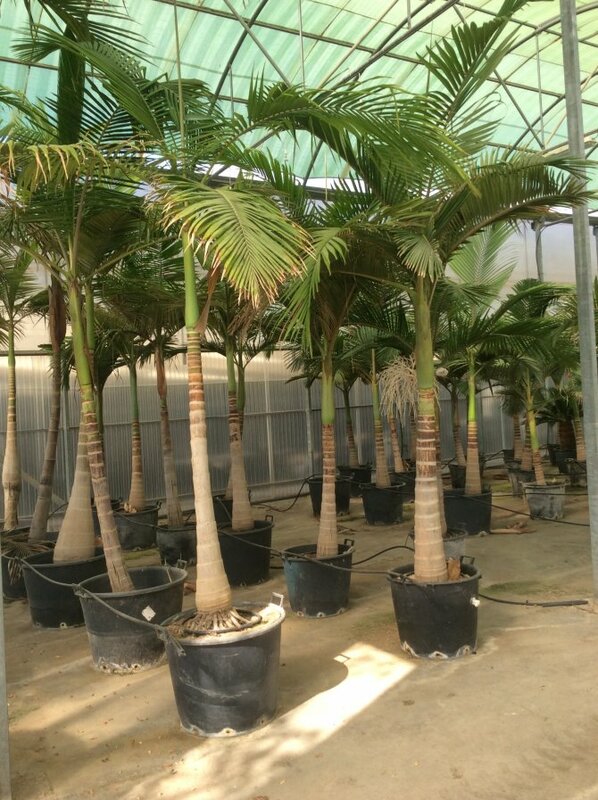 The Queen Palm is great for a fast growing, swaying palm tree effect. 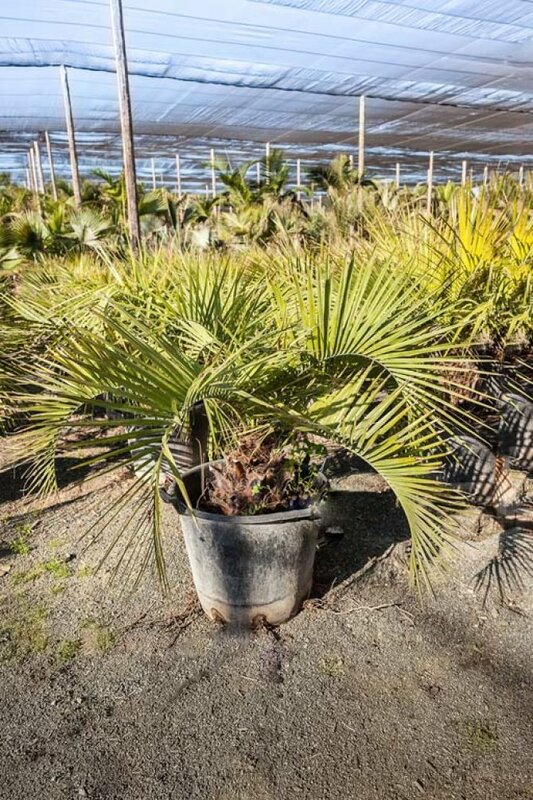 The Trachycarpus Fortunei are notable as the hardiest palm trees known. 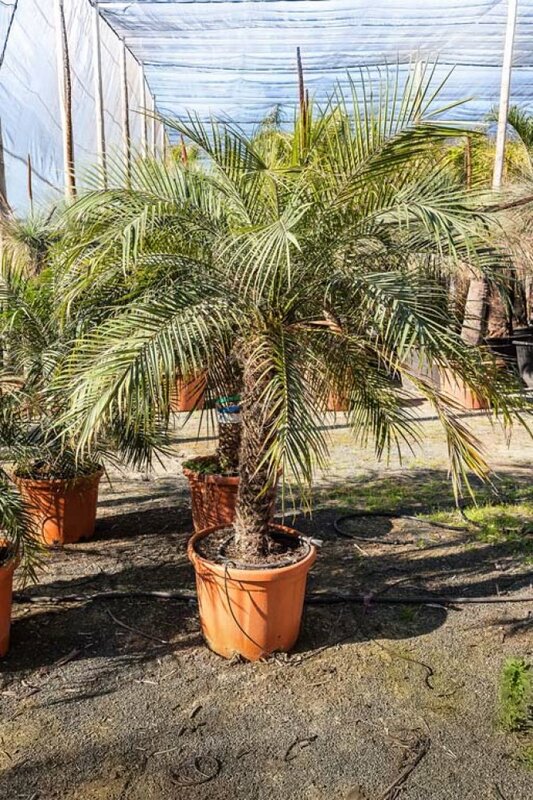 Trachycarpus fortunei is notable as the hardiest palm known. 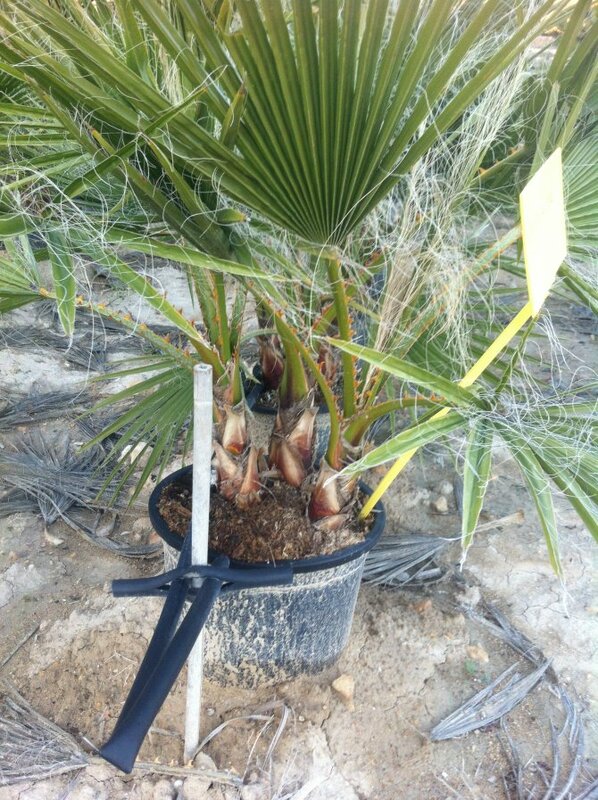 Small, baby, multi trunk palm trees. A beautifull, fuss free palm tree. 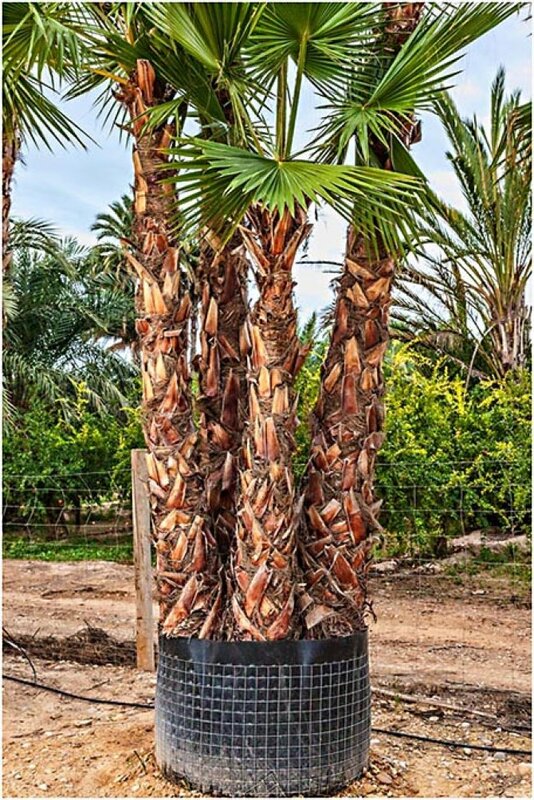 A beautifull, fuss free palm. 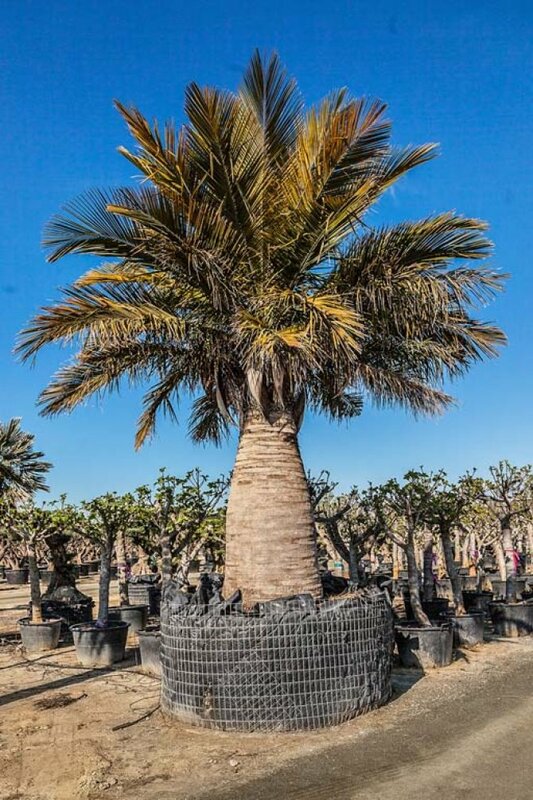 “Desert Island” style Washingtonia Robusta.